Have you seen this? 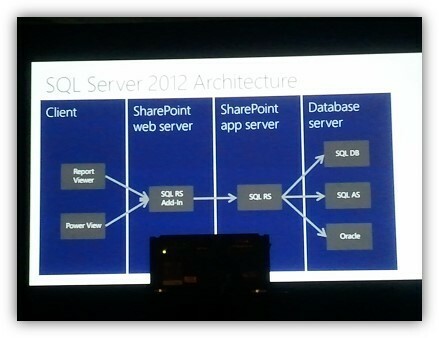 Or similar in SharePoint 2010? This is just a quick guide to disabling the setting that makes Internet Explorer unbarable in a labb or test environment. Often, you do use the browser on the lab, dev or test server to quickly verify functionality or in SharePoint, to access Central Administration web site and make the first initial configurations. When IE ESC is eneabled, you get popups all the time and you are asked to add every new url to the IE trusted sites zone. So, on a dev, test or lab server, it is ok to disable it, at least if you ask me. As long as you are aware of what you are doing and that it after all does provide an extra layer of security. At the end of this post, I have added what all the settings in IE ESC really does, one by one. 1. 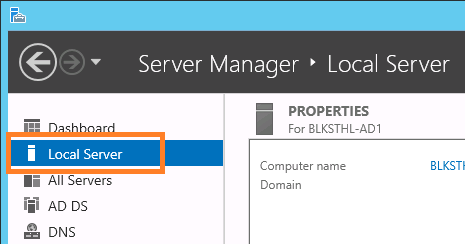 On the Windows Server 2012 server desktop, locate and start the Server Manager. 4. You have two settings that can be disabled, one only affects the Administrators and the other all users. The preferred method when testing (if for example SharePoint) is to use a non-admin account and if that is the case, disable the IEESC only for users. Using a local administrator account would cause an additional threat to security and it will also often not give you the required result in tests, since the administrator has permissions where a normal user do not. Make your selection to Off for Administrators, Users or both. 5. In this example, I have selected to completely disable Internet Explorer Enhanced Security. When your seelction is made, click OK.
6. Back in the Server Manager, you will see that the setting has not changed at all. Press F5 to refresh the Server Manager and you wil see that it is changed to Off. Done, open up a IE browser windows and try to access any internal site to test the setting, you will notice that you no longer are prompted in the same way. IMPORTANT! Do NOT disable IE ESC on any production servers or servers with live data on them, to disable IE ESC is to reduce the security and can potentially expose the server to attacks. By the way, on a production server: IE shall not be used at all! Windows Internet Explorer Enhanced Security Configuration (IE ESC) configures your server and Internet Explorer in a way that decreases the exposure of your server to potential attacks through Web content and application scripts. This is done by raising the default security levels on Internet Explorer security zones and changing the default settings. 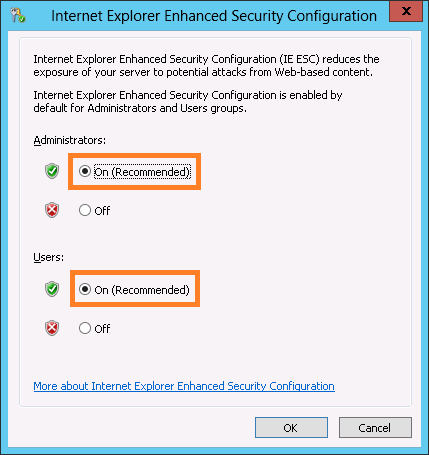 IE ESC can be enabled or disabled by using Server Manager for members of the local Administrators group only or for all users that log on to the computer. Membership in the local Administrators group, or equivalent, is the minimum required to complete this procedure. Note: If Internet Explorer is open when IE ESC is enabled or disabled, you must restart Internet Explorer for the IE ESC changes to become active. Note: IE ESC will automatically be disabled if Terminal Services or Remote Desktop Services is installed on a computer that has IE ESC enabled, but it can be enabled again by using Server Manager. 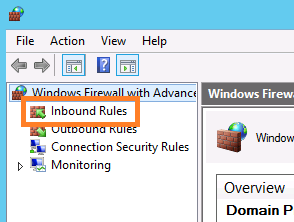 When IE ESC is enabled on Windows Server 2008 R2, the security levels for several built-in security zones are changed. The following describes these changes. All Web sites are assigned to this zone by default. Web pages might not display as expected, and applications that require the Web browser might not work correctly because scripts, ActiveX controls, and file downloads have been disabled. If you trust an Internet Web site, you can add that site to the Trusted sites zone. This zone is for the Internet sites whose content you trust. When visiting Web sites on your organization’s intranet, you might be repeatedly prompted for credentials because IE ESC disables the automatic detection of intranet Web sites. To automatically send credentials to selected intranet sites, add those sites to the Local intranet zone. Additionally, access to scripts, executable files, and other files in a shared folder are restricted unless the shared folder is added to this zone. This zone contains sites that are not trusted, such as malicious Web sites. Internet Explorer maintains two different lists of sites for the Trusted sites zone: one list when IE ESC is enabled and a separate list when it is disabled. When you add a Web site to the Trusted sites zone, you are adding it only to the list that is currently being used. If you attempt to browse a Web site that uses scripting or ActiveX controls, Internet Explorer with IE ESC enabled will prompt you to consider adding the site to the Trusted sites zone. You should add the Web site to the Trusted sites zone only if you are sure that the Web site is trustworthy. If this prompt is disabled, it can be enabled again by selecting the Display enhanced security configuration dialog check box in the Advanced tab of the Internet Options dialog box. For more information about adding Web sites to Internet Explorer security zones, see Security zones: adding and removing websites (http://go.microsoft.com/fwlink/?LinkId=81287). In addition to raising the default security level of each zone, IE ESC also adjusts Internet options to further reduce exposure to possible future security threats. These settings can be found on the Advanced tab of the Internet Options dialog box. 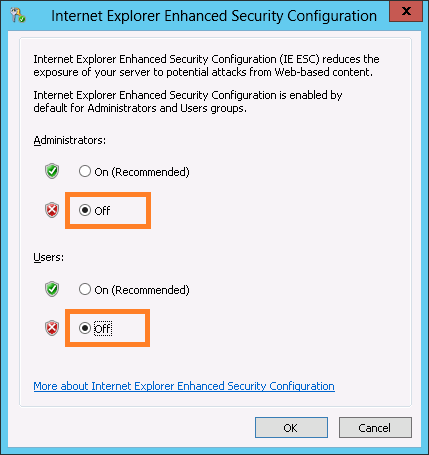 The following describes the options that are changed when IE ESC is enabled. Disables Internet Explorer add-ons that might have been created by companies other than Microsoft. Disables music and other sounds. Automatically checks a Web site’s certificate to determine if the certificate has been revoked. Disables saving encrypted information in the Temporary Internet Files folder. Automatically clears the Temporary Internet Files folder when Internet Explorer is closed. Displays a warning when a Web site is redirecting the browser from a Web site with security features implemented (HTTPS) to a Web site without security features implemented (HTTP). The Internet Explorer home page location is changed when IE ESC is enabled or disabled. This change ensures that the home page will open without prompting the user to add it to the Trusted sites zone. This is done by changing the home page to an HTML file stored locally on the computer. If you want to change the home page when IE ESC is enabled, add this home page to the Trusted sites zone before making the change. The following lists the home page associated with each scenario. IE ESC is enabled, and the user account is a member of the local Administrators group. IE ESC is disabled, and the user account is a member of the local Administrators group. 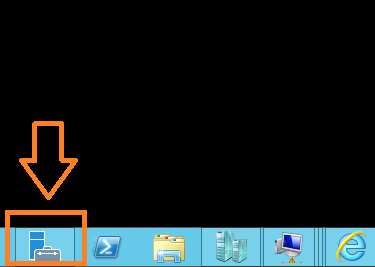 IE ESC is enabled, and the user account is not a member of the local Administrators group. Note: If Internet Explorer is customized by using the Internet Explorer Administration Kit, the home page is not changed to one of the IE ESC home pages listed in the table when IE ESC is enabled or disabled. These changes reduce the functionality in Web pages, Web-based applications, local network resources, and applications that use a browser to display Help, support, and general user assistance. The Windows Update and Windows Error Reporting Web sites are added to the Trusted sites zone. are added to the Local intranet zone. This goes out to all of the Swedish and Danish viewers…and all of you who might think it Worth to travel a bit..
Mikael Nyström(MVP), one of the leading minds on Windows Server and Deployment in the World, will do a road show in Sweden and Denmark this December. It is a free event, and there are a limited number of seats available, so make sure to be one of the lucky ones and register NOW! The show travels across Sweden, starting in Borlänge, then via Stockholm to Gothenburg, to finaly end up in Denmark and Copenhagen. Done, close down the ‘Windows Firewall with Advanced Security’ windows and then the Control panel. 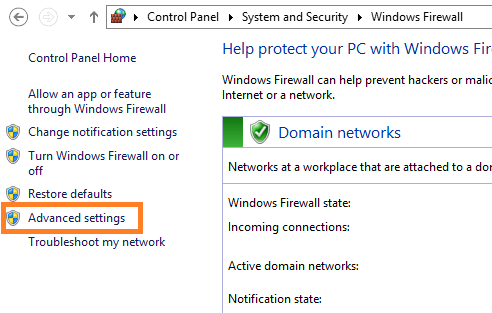 Verify functionality by pinging the servers own IP address from a command or PowerShell prompt. Thats all there is to it! Listed below are all of the Hardware requirements that have been announced for SharePoint 2013 and it’s connected services and products. Not supported are: Dynamic Memory, ReFS(Resilient File system), Install on a DC, Install in a Workgroup, Install on Windows Web Server. Note: Ideally, you should separate and prioritize data among disks. Place your data files and your SQL Server transaction logs on separate physical hard disks. RAID 5 should provide a good compromise between reliability, and throughput. I know I will use this to make my life easier until I get it all memorized…I hope that it may help you as well. Any feedback or recommended additions to the tables will be appreciated. View-only. By default, Office Web Apps is view-only. View-only functionality is provided for free. Edit and view. You must purchase an editing license to use the editing features of Office Web Apps with SharePoint 2013. You enable editing when you create the Office Web Apps Server farm. Enterprise customers who are licensed for Office 2013 through a Volume Licensing program can enable Office Web Apps editing for SharePoint 2013 on-premises. This helps make sure that users have Office editing capabilities at home or in other locations where Office clients might not be installed. Editing licenses for Office Web Apps are not available for separate purchase. For exact details about your license, refer to the Microsoft Software License Terms that is shown when you install Office Web Apps Server. 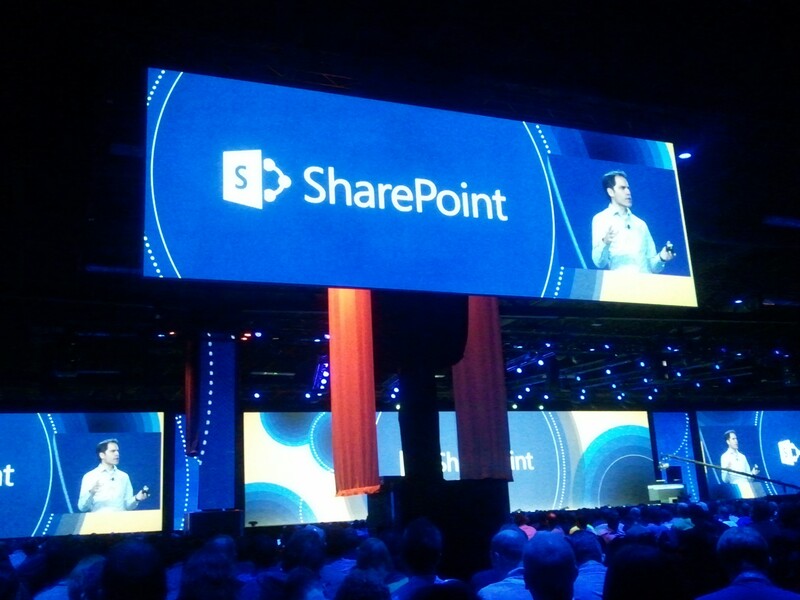 SharePoint 2013 provides new license enforcement that works with Office Web Apps. If you enable SharePoint licensing and then enable Office Web Apps editing, only the users who have the appropriate license, which is known as OfficeWebAppsEdit, can actually edit Office files in a browser. If no Office Web Apps editing licenses are applied for users, only viewing is supported. For more information about how licensing works in SharePoint 2013, see Configure licensing in SharePoint Server 2013. The EditingEnabled parameter that enables editing is described in New-OfficeWebAppsFarm and Set-OfficeWebAppsFarm. Remember also, that in 2013 the Office Web Apps server/farm is a shared resource between SharePoint Server 2013, Lync Server 2013 and Exchange Server 2013. 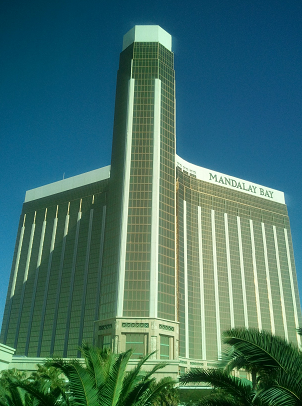 0:00 hrs – Wakeup call from the Mandalay Bay lobby. 0:30 hrs – Checkout and can to McCarran Airport. 1:00 hrs – Checkin, got the bag checked by a nice lady from United, thanks to her, I could get away with quite a lot of overweight. 1:30 hrs – After security and the tram over to D terminal, I got a nice cup of Gingerbread Latte at Starbucks followed by an American breakfast with bacon, eggs and hashbrowns. 3:35 hrs – Takeoff to Newark Airport. 8:35 hrs – Touchdown at Newark Airport. 9:00 hrs Lunch at Smack Burger…and some last minute shopping to the kids. 10:20 hrs – Takeoff to Stockholm Sweden. 18:30 hrs – Touchdown at Arlanda Airport Stockholm Sweden. About 14 hours more to stay awake until it’s time for bed…We’ll see if I can even make it that far. Thanks all for listening/reading, it has been a pleasure! I had only two sessions scheduled out of three possible slots, one on Reporting Services and one Customer Case on Search. The day started as usual with breakfast, this was different though…no bacon. Who can live without a good stack of bacon at breakfast? 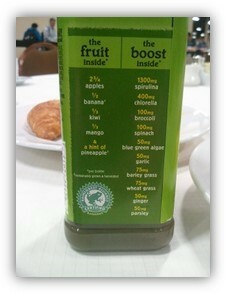 😉 Today they also offered a drink that was new to me, a green juice…see for yourself.. Very good walkthru of setting up Reporting services in Integrated mode, both on SHarePoint 2010 and SQL 2008 R2 and on SharePoint 20103 with SQL 2012. We also got to know what is good with using integrated mode instead of native, and what makes Microsofts integrated mode real, not compared to aothers that claim to have SharePoint integration. Tings like using built in security and that existing features can be utilized. 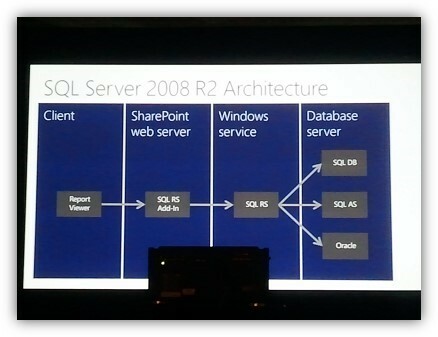 We did get to see the new 2013 Service Application model, whach will make SSRS easier to comprehend. I got a good explanation as to what using a trusted account means, that was good. I Think that many customers and users can make do with a trusted account and thus not have to go thru all of the painstaking issues of setting up the environemnt to support kerberos. The 2010 with 2008R2 model. The 2013 with 2012 model. Next session, a customer session. Andreas Högberg from Telenor, a Norwegian telecom Company explained how they quickly moved to use SharePoint 2013 search to get a better result even from their existing 2007 environment. The end goal was to move completely to 2013 and do that without any ciustomizations, something which 2013 offered as a possibility. The current global SharePoint 2007 environment had 171 customizations, the new SharePoint 2013 farm had 0(zero). The plan was to have the two Environments coexist, then step by step move data from 2007 to 2013. One interesting thing was the use of IaaS, Azure and Infrastructure as a service, they put all of their test and demo Environments there to save Money and time, and the environemnt did at its peak use 300+ cores in the cloud model. Interesting session, nice to hear from a ‘real’ customer. With on the session were two Consultants from MCS. Since most of the Project was done under the RDP program, they had MCS in on it to get the knowledge and inside help only MCS could offer. That was it, last session for me. A few hours of shopping at the Premier Outlet North and I’m ready to go home. I’m flying home on the early bird tomorrow! This is Thomas Balkeståhl signing out from the 2012 edition of the SharePoin t Conference for the last time. It has been great! 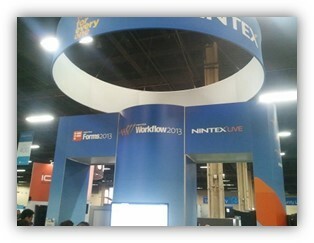 I recommend going to everyone who havent been here and that works Close with SharePoint. It’s a uniqe opportunity to get knowledge and insight that you can’t really get anywhere else in the world.